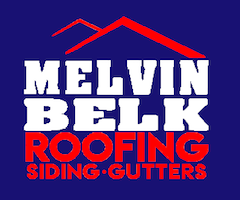 Melvin Belk Roofing has been in the roofing business for over three decades. In this time we have learned what quality work and fair prices do. It keeps clients coming back and our great services travel through word of mouth for a job well done. This is how you get and keep clients for life. We believe in a strong work ethic and fair prices for the entire Grand Rapids, MI area. 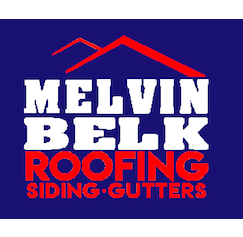 Melvin Belk Roofing has maintained an A+ Rating with the BBB and received the Angie’s list Super Service Award every year since 2013. We believe that being a Family Owned Business gives us an advantage because we bring a certain amount of values to the table; cutting corners is not acceptable, we will treat your home as if it were our grandmother’s. Our business is our legacy and we want to build something strong and successful to pass on to our children and grandchildren. By servicing you with excellence, we are serving them too. We have been serving the Grand Rapids area for over Thirty-Seven Years. We are a family owned business with several generations involved, which means we will be servicing West Michigan for many years to come. 25,000 square feet of roofing on commercial roof projects. We have crews that vary in size from 2 to 7 people depending on the size of your project. You will have a salesperson who will over see your project from start to finish and be your point of contact if any questions or problems may arise. Yes, we can provide you with as many references as you would like. We can also provide you with copies of our insurance coverage and builders license. Are You and Your Work Crews Licensed And Insured? We have all the licensing required to do your project. We are fully insured with liability coverage and workmen’s compensation insurance. We will provide you with copies of these documents to verify our coverage. We have the required State of Michigan Builders License. We offer Roofing, Siding and Gutter services from small repairs to complete replacement on residential and commercial buildings. How Long Does A Normal Roofing Job Take? Generally our goal is complete your job in 1 to 3 days depending on the size of the roofing job and of course the weather. How Long Does A Normal Gutter Job Take? Normally, we will complete a Gutter Installation within a single day or less. How Long Does A Normal Siding Job Take? Siding Installations can take from 1 to 3 days depending on the size of your home and the complexity of the structure. Yes, we definitely guarantee our finish work in writing from 1 to 10 years depending on your project. There are many variables, so we will provide you with the guarantee and the length of time it is good for when we estimate (bid) your project.